There are two major negative factors affecting the price of WCS and thus increasing the the price differential. The first is new production coming on stream and the second is the pipeline constraint to export WCS to the U.S. market. Click here for a live and larger version of the above chart. There are over 300 benchmark streams of crude oil produced around the world. The most commonly referenced US benchmark is West Texas Intermediate (WTI), priced out of Cushing, Oklahoma. 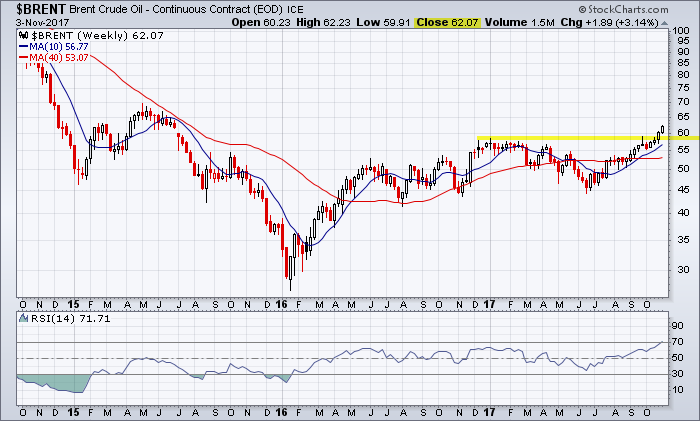 WTI is lighter and sweeter than the international benchmark, North Sea Brent, which is priced out of Sullom Voe, Scotland. The two most popular Canadian benchmarks are Canadian Light and Western Canadian Select. WCS is a heavy sour blend while Canadian Light is a light sweet crude, similar in quality to WTI. Click hear for an explanation of WCS. This link provides an historical chart of the WCS price differential with WTI. This entry was posted in Commodities and tagged brent, wcs, WTI Crude on December 17, 2017 by Trader. This entry was posted in Commodities and tagged brent on November 5, 2017 by Trader. This entry was posted in Other Topics, U.S. Indexes and tagged brent, chart, WTI on December 21, 2015 by Trader. 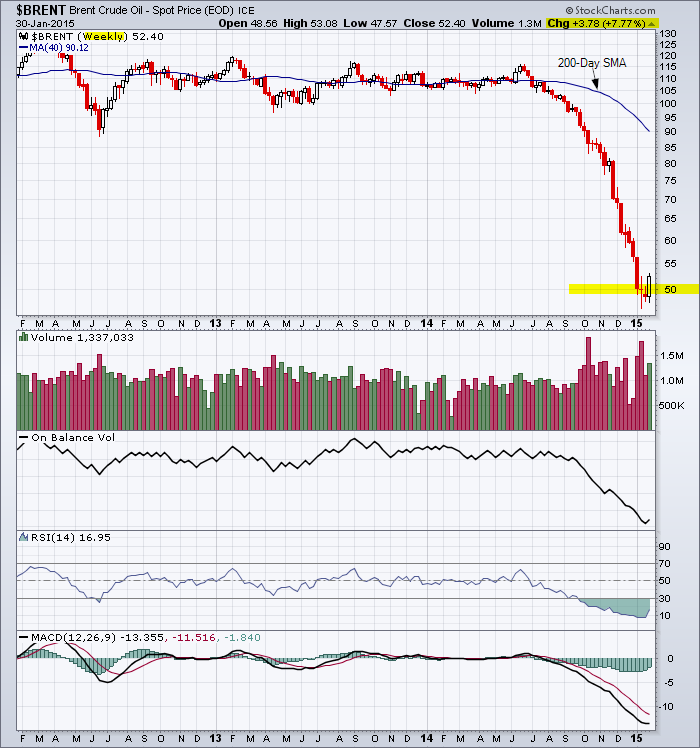 This entry was posted in Other Topics, U.S. Indexes and tagged brent, chart, WTI on February 26, 2015 by Trader. This entry was posted in Other Topics, U.S. Indexes and tagged brent, chart, WTI on February 23, 2015 by Trader. 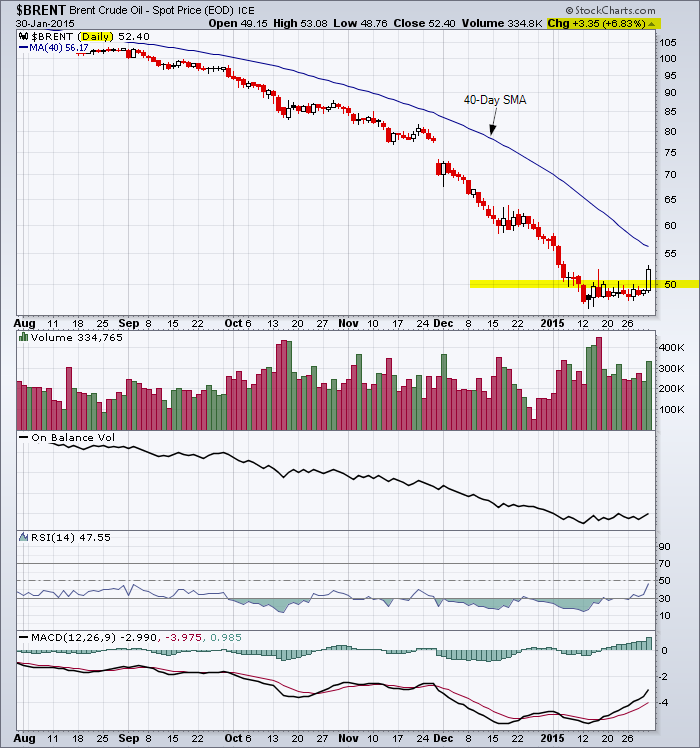 This entry was posted in Other Topics, U.S. Indexes and tagged brent, chart on January 11, 2015 by Trader.